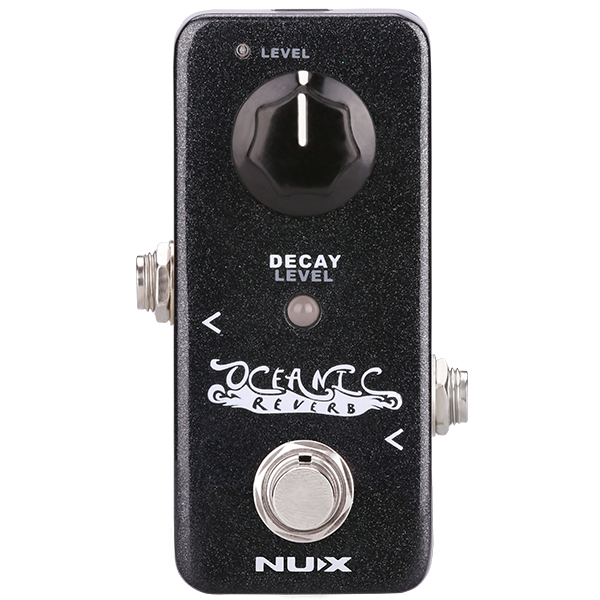 Nux Mini Core Sculpture Compressor Pedal., Newark Musical Merchandise Co.
NUX Sculpture Compressor pedal offers a consistent volume output level and sharpens the signals on top and bottom edges. When you start picking your guitar, it will clean the loud (peak) notes and increase the sustain by raising the level of decaying (quiet) notes. Sculpture also contributes to the signal foundation that’s fed into the rest of your effects chain. It has 2 clip modes, simply you can switch between “Clean Mode” and “Clip Mode” by holding the switch for 1 second. The clean mode has a wide limit range from bottom to top so if your guitar slams the limits too hard (like humbucker pickups) it is very suitable to control the compression. You can also dial up a very soft and clean compressor for single coil system guitars in Clean mode. If you want to squeeze your sound, Clip Mode will make it tight like a cowgirl's jeans and the compressor will wrap all over the signal. It is very suitable for the single coil guitars to compensate the weak output. When you adjust the knobs to catch a perfect balance between clipped frequencies and a good sustain, blend circuit allows you to adjust dry/wet compressor effect level on the processed signal. 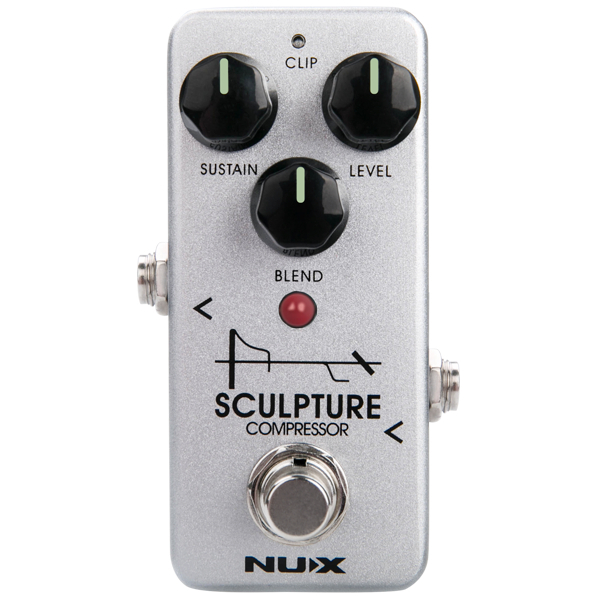 Whatever you dial-up on Sculpture Compressor, you can simply adjust the opacity of the effected sound. Sculpture Compressor has an embedded selectable buffer bypass. You can change the bypass mode by turning on the power while holding the footswitch.